Ford wowed classic car enthusiasts earlier this year when it revealed that the 1968 Ford Mustang GT hero car that featured in the film Bullitt is not only no longer lost, but in quite great condition. 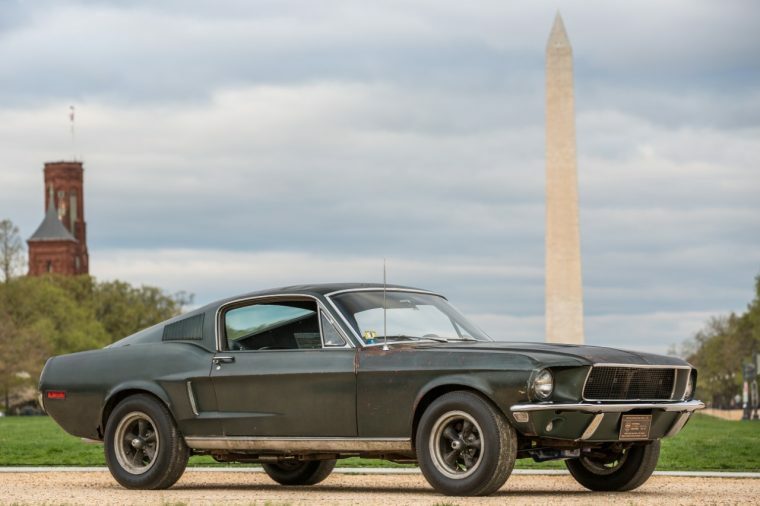 To celebrate both the 50th anniversary of the Steve McQueen classic and the 54th anniversary of the original Ford Mustang’s debut, Ford is displaying the Dark Highland Green Mustang on the National Mall from April 18th-23rd. 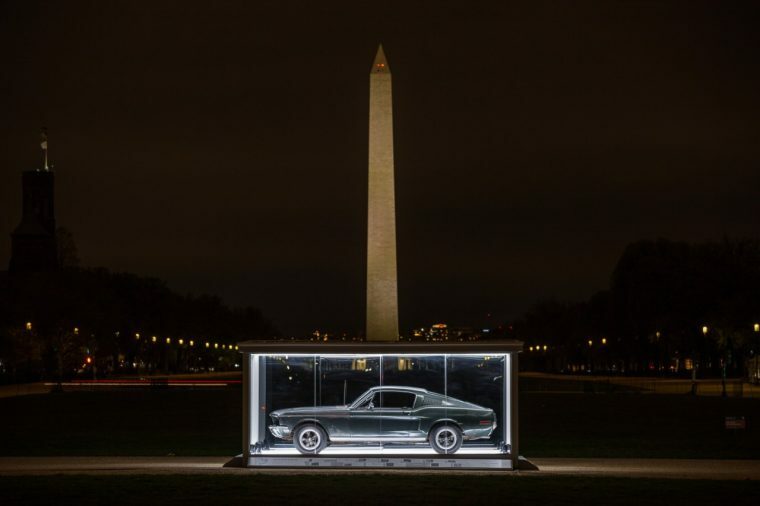 To ensure that the original Bullitt Mustang is not vandalized or violated, it will be encased in a stylish glass garage that will be illuminated at night. In addition to honoring two milestones in Mustang history, the Bullitt Mustang’s appearance coincides with the Historic Vehicle Association’s Cars at the Capital celebration. The HVA verified the authenticity of the Mustang and promptly added it to its National Historic Vehicle Register, joining the 1932 Ford V8 Roadster and the 15-millionth Ford Model T.
The 1968 Ford Mustang GT reemerged from the shadows in January as part of the reveal of the limited-edition 2019 Ford Mustang Bullitt. As it turns out, McQueen had attempted to buy the Mustang back from its owner, Robert Kiernan, but was unsuccessful. It remained hidden and within the Kiernan family for more than 40 years before Robert’s son Sean decided to put it back into the public eye. Ford began accepting orders for the 480-horsepower 2019 Mustang Bullitt in March.